Voters in Spain went to the polls this weekend to vote in the country’s Parliamentary elections. Two of the country’s newer political parties picked up seats. The anti-austerity party, Podemos, captured 20% of the vote. Ciudadanos, the pro-business centrist party won 14%. It’s created a situation where at least three of the four major political parties will need to reach agreement to form a majority. We’ll look at the emergence of the new parties and what the election results mean for Spain’s future. The mass shootings in Paris last month and at San Bernardino’s Inland Regional Center earlier this month have intensified Islamophobic attacks on Arabs, Muslims, and people perceived to be Muslim. On Friday, community members gathered on the steps of San Francisco City Hall to protest the growing Islamophobia. 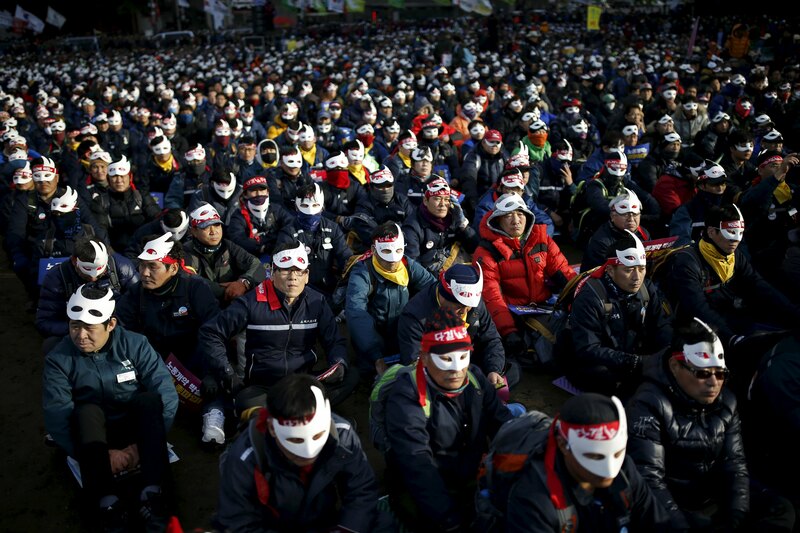 In Korea, tens of thousands of workers, farmers, and students have been mobilizing in opposition to regressive policies proposed by the Park Geun Hye administration. Park’s attacks on people across sectors have brought these groups together to form a united front against Park’s Saenuri New Frontier Party. Park’s government has responded to the mass mobilizations by shooting water cannons laced with tear gas at protesters, increasing police presence throughout Seoul, and jailing protest leaders. Many people have been drawing parallels between Park’s rule and that of her father, military dictator Park Chung Hee. This week, workers, farmers, and students are camping outside that National Assembly as the legislature prepares to vote on a package of labor policies that would increase the use of temporary precarious workers, and make it easier for employers to lay people off.